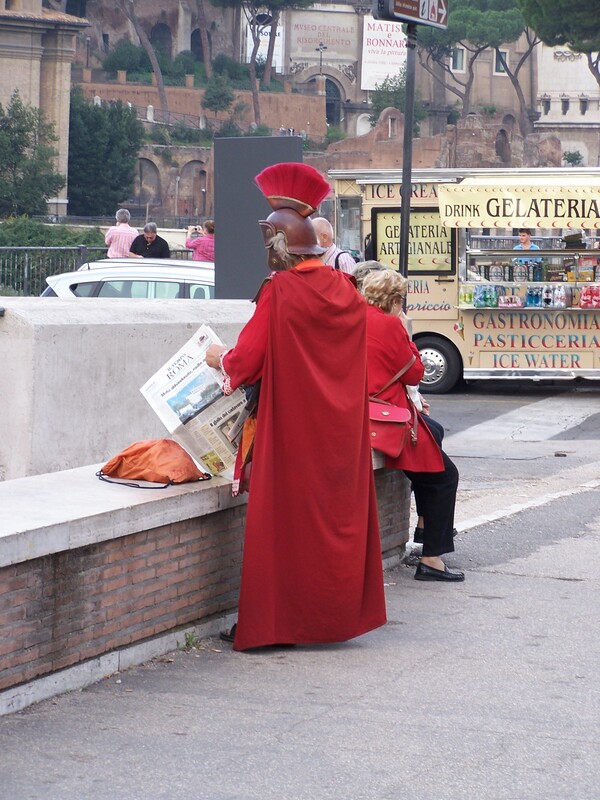 One of my favourite photos from Rome is a picture I took of a Roman Centurion, near the Colosseum, reading a newspaper. Adding to the relaxed atmosphere was a Gelati van in the background. Reflecting on this photo it reminded me that some of us, either because of our background or natural disposition frown on relaxation. It is not productive, there are things to be done and we shouldn’t waste time. Some of us, especially those of us brought up under the spectre of the “Calvinist work ethic”, see relaxation as sinful, or if not sinful, certainly heading in that direction. Is this driven lifestyle something that God wants? Is it healthy? What they reveal is a person delighting in his relationship with God and rejoicing in the beauty and majesty of his God’s creation. For the hard nosed, star gazing and lyre plucking are not productive activities. However, for the delighter in God, they are worship. There is a joy and celebration knowing that God has surrounded me with His creation – a creation not simply there to be productive and mined, but a creation that reveals God, His majesty and beauty. So in your busy-ness stop and smell the flowers, or if you like, have a gelati and a read a paper. Even centurions need a break. I, too, have learned that some of our greatest growth and development comes in the quietness of relaxing in the arms of our Creator. There is a tremendous difference between wasting time and being refreshed in the spirit with the good things of God.